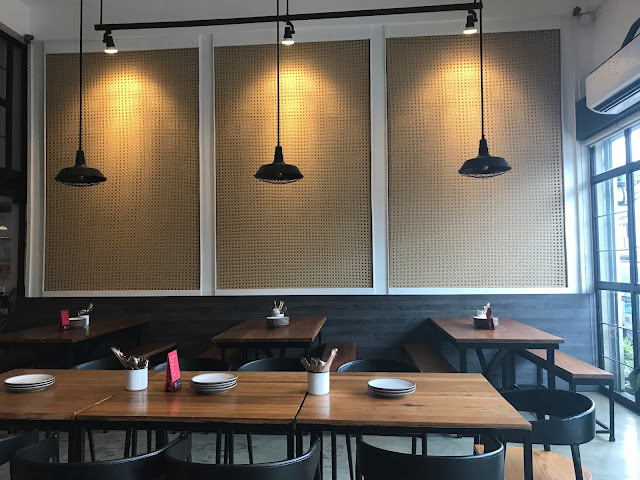 Marikina is slowly emerging as a new destination for foodies, with restaurants and food park popping out in every corner of the city. I have a lot of those on my must-try list, which makes deciding on what to visit first extremely tedious each time we are around the area. It took me a lot of thinking before finally landing on Balestier. Balestier is a new restaurant within San Roque. We used waze to locate the restaurant, only to realize that I always pass by this place on my way home from this city! Thankfully parking isn't a problem since the restaurant has their own parking space. The design of the restaurant was also pretty neat. It's composed mostly of the combination of brown and black shades, with glass windows and doors with black lining. 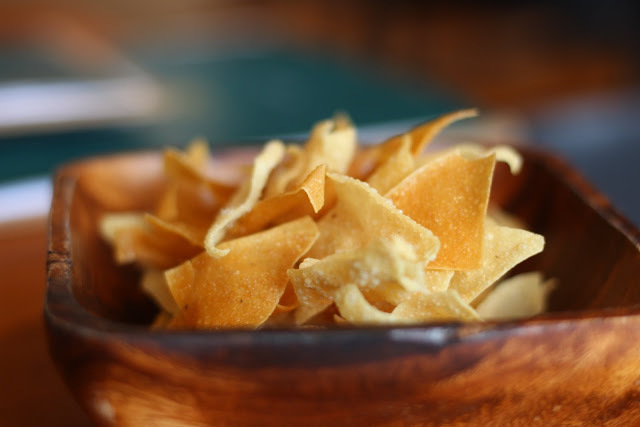 Munch on these complimentary chips while you decide (and later on wait) on your orders! 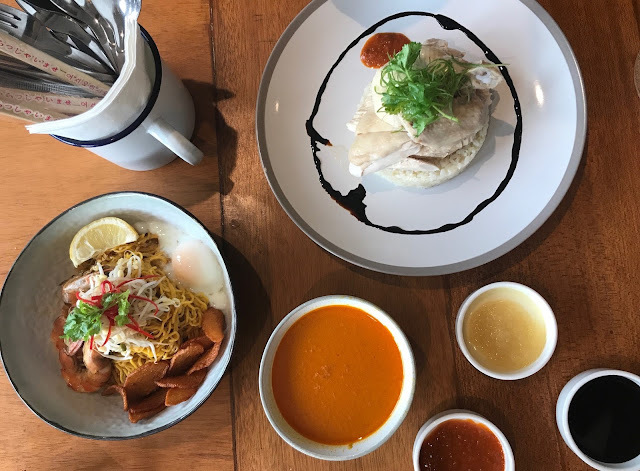 I asked a foodie friend about his experience, and that's how I decided to order their laksa tsukemen and hainanese chicken. 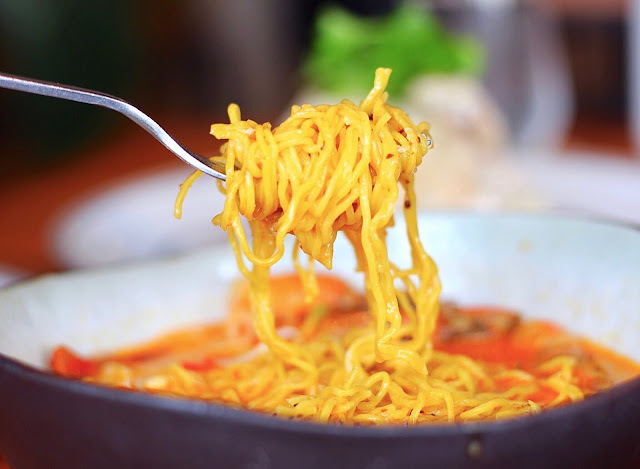 Laksa broth made with shrimp stock and shrimp paste, served with a separate bowl of egg noodles, prawns, fish cake, lemongrass, bean sprouts, and sous vide egg. 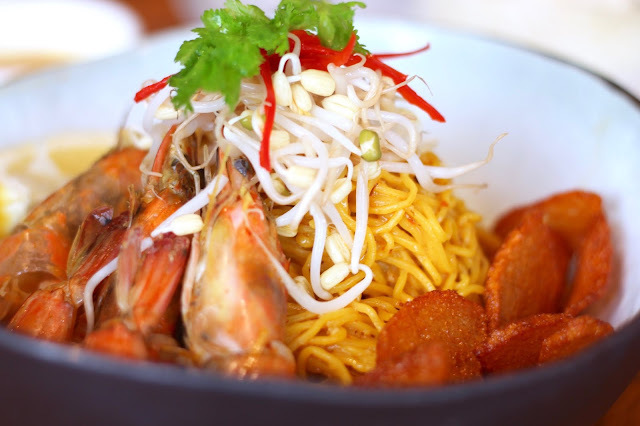 I had the spice level of our laksa reduced, but leaving a mild kick is definitely a must to better enjoy their laksa. An order is also huge, and can be shared by two people. Eating just half of it made me feel so full that I almost skipped trying the hainanese chicken. Chicken rice topped with a quarter Hainanese chicken, served with ginger, dark soya sauce, chili paste on the side. The Hainanese chicken goes so well with the soya sauce, and tasteless without it. 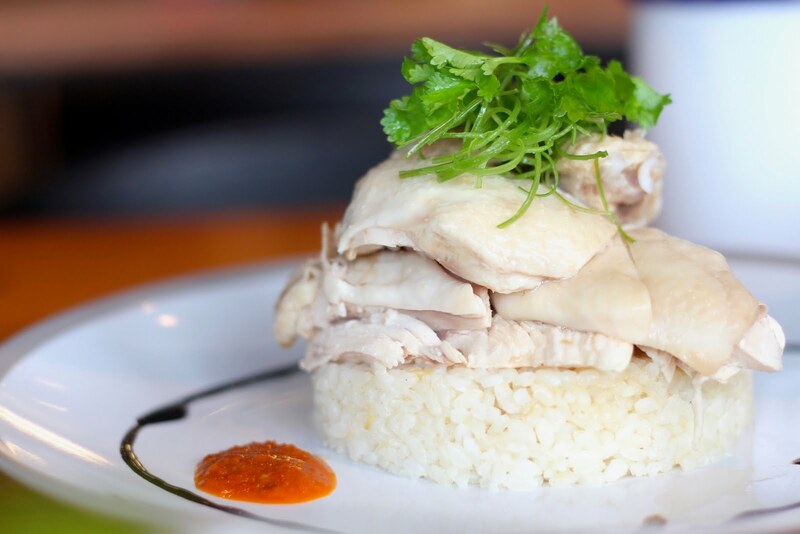 The chicken rice had a gingery taste, and the trio (chicken, rice and soya) makes a great, classic combination. 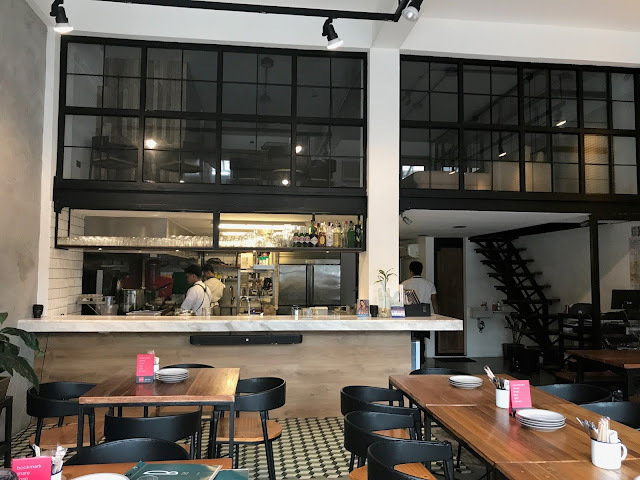 What delighted me most about this visit, apart from the humble vibe of the restaurant's interiors and the delicious food, is the overall value for money. The pricing isn't that cheap, but the portioning is a good enough justification for it. 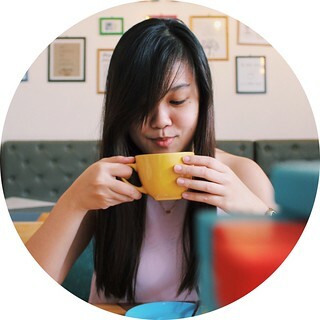 I'm very happy to have picked Balestier to be my "comeback" to Marikina after months of not being able to drop by for foodtrips. I definitely recommend this place to everyone.